The popularity of the Federal Reserve took a hit this week following Fed Chairman Ben Bernanke's controversial comments on 60 minutes that included a denial that the Fed is printing money. According to surveys, more Americans now favor abolishing the Federal Reserve. See the following post from The Mess That Greenspan Made. This week has turned out to be a horrible one for Fed chi ef Ben Bernanke who set the wheels in motion last Friday when he taped that 60 Minutes interview that has been roundly ridiculed since it aired on Sunday. While economists around the world may be marveling at Bernanke’s resolve, denials of money printing and 100 percent confidence that inflation will never pose a threat to the U.S. economy have not gone over so well with the public at large. The latest evidence of such comes via this report at the Washington Post (with Bloomberg) today in which recent polling reveals that most Americans think the country might be better off without the central bank as we’ve come to know and love it. Americans say the Fed shouldn’t retain its current structure of independence. Asked if the central bank should be more accountable to Congress, left independent or abolished entirely, 39 percent said it should be held more accountable and 16 percent that it should be abolished. Only 37 percent favor the status quo. In a previous poll, conducted Oct. 7-10, 35 percent of Americans said the Fed should be radically overhauled, while 8 percent said it should be abolished. 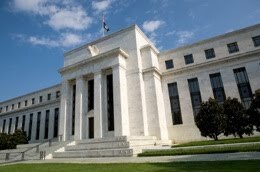 Republicans and independents are more likely to support ending the Fed, with 19 percent of independents, 16 percent of Republicans, and 12 percent of Democrats wanting to do away with the central bank. Among those who identify themselves as supporters of the Tea Party movement, 21 percent want to abolish the Fed. As if all that isn’t bad enough, news came late yesterday that, next month, Rep. Ron Paul (R-TX) will become chairman of the House subcommittee that oversees the Federal Reserve. Details are in this story at Bloomberg/Businessweek (is there anyone that Bloomberg isn’t teaming up with these days) and one can only imagine how Bernanke will feel in 2011 sitting across the room at hearings chaired by the guy who wrote the book “End the Fed“.